"It's a story about stories. How stories make us human. How even those who are inhuman can change and grow, live and love, become human and end their immortal lives with their humanity intact. Gaiman makes us care about the people in the stories. Hob Gadling appears, I think, four times. I care about him. I want to sit with him and have a drink. Not because I want to pick his brain about all the things he's seen. But because he's a genuine human and I care about him. I'm glad that I was invited to Morpheus' funeral. I'm glad that when it all ends there will be a cute spunky young lady to take me away. 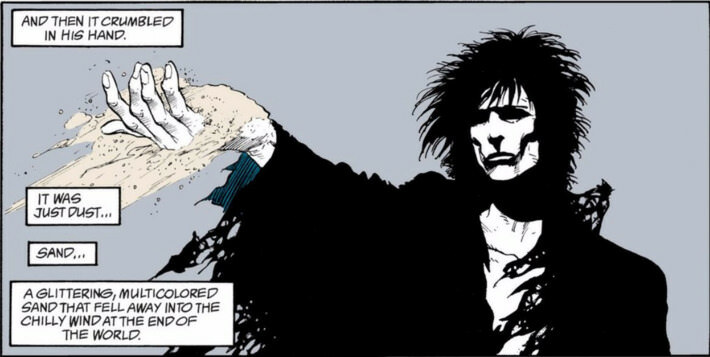 I'm glad I got to buy Sandman every month and partake of what I consider to be the greatest achievement ever in comics." Huh! That Slim Brady guy is pretty smart. This was the first comic I ever bought as an adult, starting with lucky issue # 69. As of now, I've probably read the first series 10 times throughout the years. And I actually liked the Endless Nights short story collection even more than the series proper. I haven't read enough of it to decide one way or the other if I truly love it. I still have Preludes & Nocturnes and Seasons of Mist though it's been awhile since I've read either. Frankly, I love his Death miniseries more as I think the focus of the differing perceptions of her and her own thoughts/concepts on mortality made for compelling reading. (Also my all-time favorite visualization of Death). I read the first 2 tpb's , good stuff. I don't remember including this but it is one of my all time favorite books. 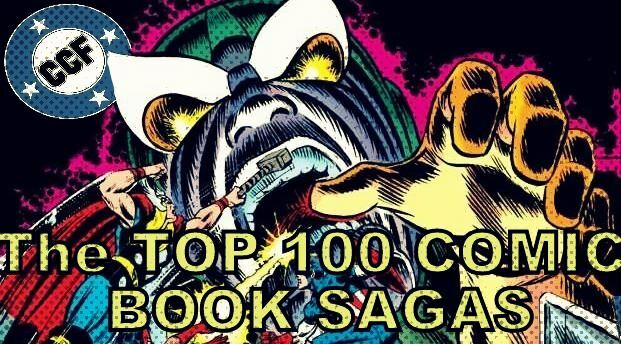 I think at this point there's less than Astro City. Or right around the same amount. I'm the same way too.